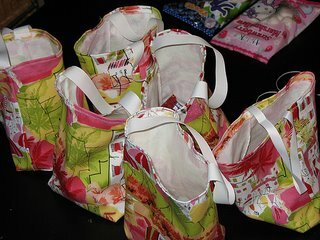 Mini tote bags used as party-favor bags. 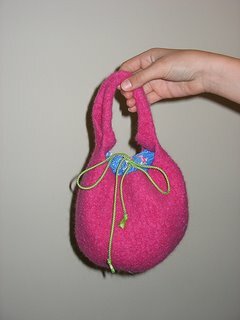 Knitted & felted bag with a fabric lining. 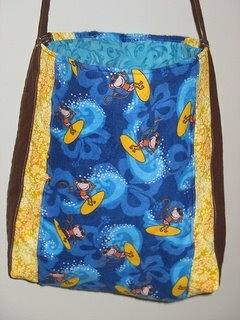 Monkey tote patchwork pieced & quilted out of 4 different fabrics. 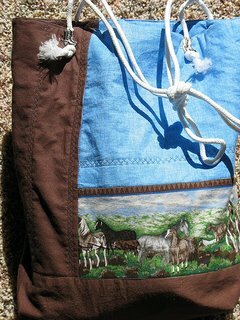 Horse tote patchwork pieced & quilted.